Another round of storms and wind we've been experiencing all week. This weather is part of a tropical system , Invest 96L, in the southern Gulf of Mexico. 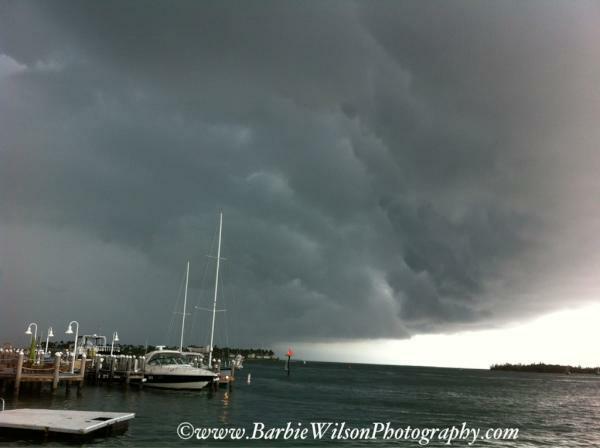 Below is a great shot of the leading edge of the storm passing over Key West Harbor by Barbie Wilson. Here is the radar image from Weatherunderground of the storm.